This is Carl E. Bishop of Des Moines, IA, who worked to improve his 1917 Stanley Steam Car, almost certainly a Model 735. His brother, V. L. Bishop, is not shown. The photo caption (transcribed below) describes the car as a 1917 steam automobile. 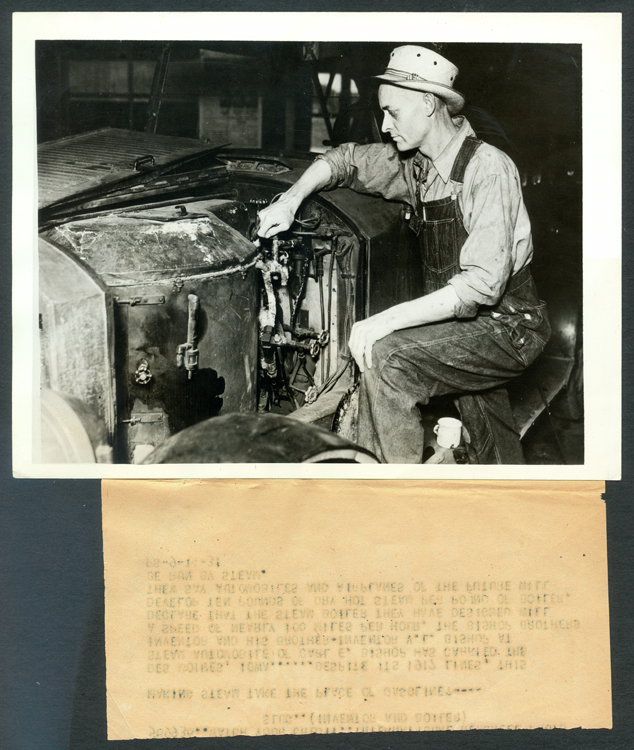 The emphasis in the photo caption is on the boiler, not the engine. Conventional Stanley engines were notoriously inefficient consumers of steam and often called "Steam Hogs." 589936..Watch your credit...International News??? Photo. 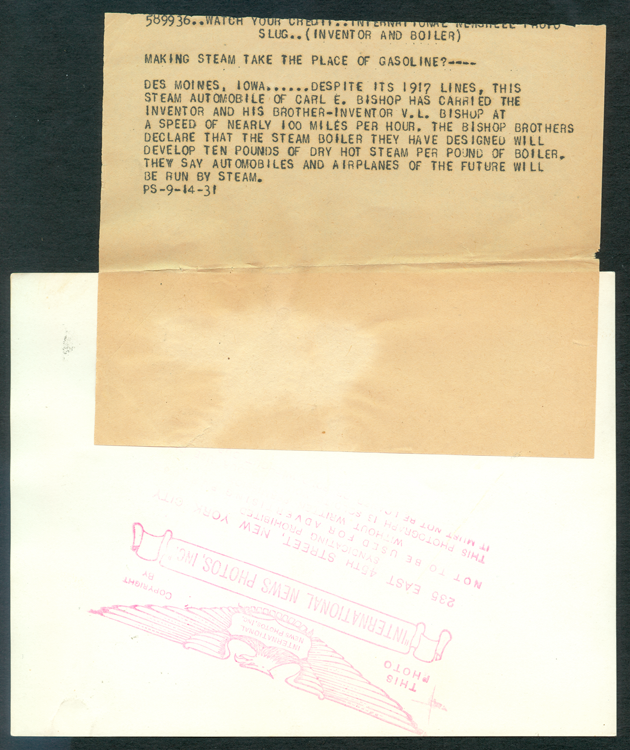 Slug..(Inventor and Boiler) Des Moines, Iowa . . . . . Despite its 1917 lines, this steam automobile of Carl E. Bishop has carried the inventor and his brother-inventor, V. L. Bishop at a speed of nearly 100 miles per hour. The bishop Brothers declare that the steam boiler they have designed will develop ten pounds of dry hot steam per pound of boiler. THey say automobiles and airplanes of the future will be run by steam. PS-9-14-31." 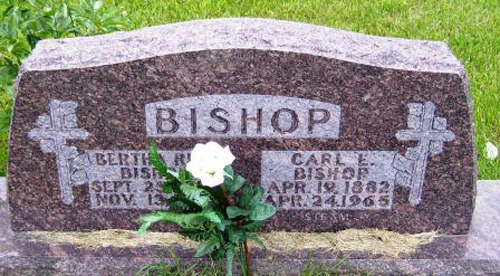 Look closely at the lowr right corner of Carl E. Bishop's headstone and you'll see the word STEAM. Courtesy of Joette Watson. [1}Emails, Joette Watson to Donald Hoke and return, December 22, 2010 and January 18, 2011. Bishop File.